Have you heard? The Black Moon rises tonight! But if you’re worried about catching this “rare” phenomenon don’t be—it’s actually not that special. A Black Moon is not an actual astronomy term and there’s a couple different definitions floating around out there. 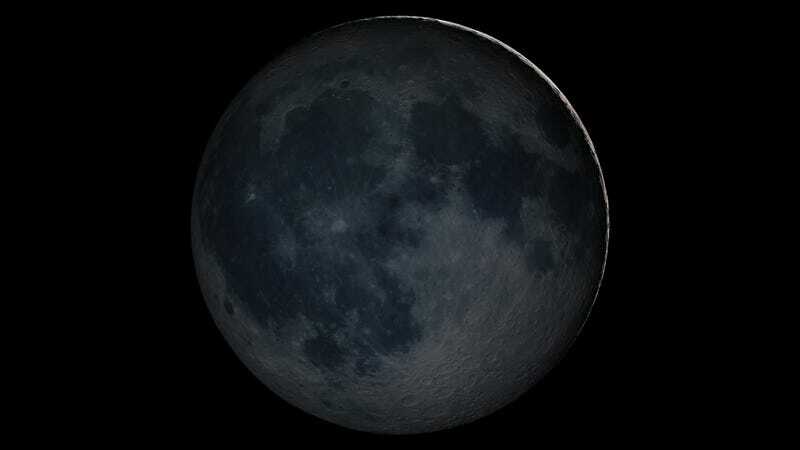 The Black Moon that people are talking about now is defined as when two new moons—the phase of the moon where it appears invisible in Earth’s sky—happen in a single calendar month. This is the first time in over two years that’s happened. While it’s technically true that it’s rare, it isn’t all that meaningful. The new moon pops up approximately every 29.5 days and September’s cluster of two is no exception. The two new moons in September aren’t really any closer together than any other new moons this year—it’s simply that the first one happened to fall on the very first day of September and the last one on the last day of September. The gap between the two is still practically identical to the gap between the July 4th and August 2nd new moons, or the coming November 29 and December 29 new moons, or any of the other 13 new moons this year. Getting excited about two new moons popping up together in the month of September is a little like telling everyone to celebrate your birthday extra hard this year because it won’t fall on a Tuesday again for another two years. It’s not factually wrong that it’s rare, exactly, it’s just a very weird and not very meaningful coincidence of the calendar to get excited about. Does that mean you shouldn’t bother to look up tonight? Not quite, a new moon is always a good opportunity to see the sky at its darkest without moonlight drowning out any constellations or planets you may want to catch a glimpse of. But, if you do happen to miss it or the sky is covered in clouds, don’t fret. The exact same opportunity will pop-up again literally about every 30 days, over and over and over again.